Picking a right cell phone for your self have much to do with personality and your needs, of course budget counts as well. Cell phone varies hugely when it comes to being feature rich or being very simple so buying a cell phone is a personal choice. However, there are few things to consider before getting a brand new cell phone. A cell phone has to be one that suits your lifestyle and needs accordingly. If you’re a business executive on the go then phone which can organize your meetings and can perform multi tasks suits the needs. If you’re a teenager then surfing on the web and music are the appealing features in the mobile set. Cell phone’s shape and size matters too when buying. Attractive display and stylish mobile are more appealing. 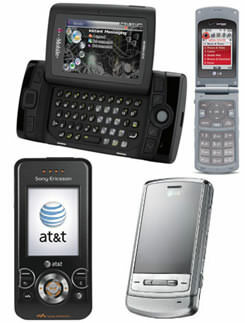 Some prefer cell phones that can be flipped and some rather have a sliding cell phone or a swivel one. Thanks to iPhones, touch phones are gaining many fans. In all what matters is what you enjoy carrying around with you so go for cell phones that’s attractive according to your taste and suits your needs and is totally compatible with your lifestyle. Performance of the cell phone is the most important thing to consider actually. Features enrich and designer based cells are useless when it come to performance. It counts to have cell phone with good antenna and receivers as these things enhance the performance. You can determine performance of the cell phone you want to buy by reading review about in on internet. There are many reliable cell phone website which provide extensive reviews. When shopping for cell phones, you can ask the sales man to let you try making the call on test basis. There are always working display cells available on stores. You can always check the clarity of voices and volume level within grace period so if you’re not satisfied, you can return the cell phone back. List of possible mobile features are extensive and varies from handset to handset. For your convenience and simplicity, buy a cell phone that shouldn’t be anything more you need. If you just want a cell phone to make calls then stick to something simple and if you want to send emails from your cell and take pictures then check out availability of the required features in your cell phone. Here is the list of most popular feature that is generally present in most cell phones. Camera– If you’re into taking pictures then quality of the camera in the cell phone should be considered before buying the cell phone. Web browser– make sure that your phone support application that allow wireless web surfing and downloading if you’re into connecting with the internet. Messaging and emailing– sharing and sending multimedia messages such as photos and videos should be enabled if required. If you’re into lot of emailing and messaging that you might consider a cell phone with alphabetic keyboard for faster typing. Organizer– Every cell phone have basic organizing features like calendar, notes, alarm clock. These features are very convenient to use and usually is present in every cell phone. Some cell phones even offer unique features such a compass or a thermometer. Bluetooth– Many cell phones allow users to exchange data by syncing with other Bluetooth device. This is a useful feature but not every mobile have this feature. Multimedia Options– Digital music, support for MP3 files is important if you like to listen music from your cell phone. To fully enjoy multi-media options, make sure you have plenty of memory space in your cell phone. Personalization Options– Some phones allow changeable colorful case covers. Accessories like Bluetooth head set, speakers are also available. Look for the ones you prefer. In the end, your spending budget makes the ultimate choice for you. You can get the best phone of your choice according to your budget. There are always deals and discounts available on many cell phones so look out for them when you’re thinking of buying a cell phone.